The Lilah mirror has a hand welded frame and features a burnished gold finish. 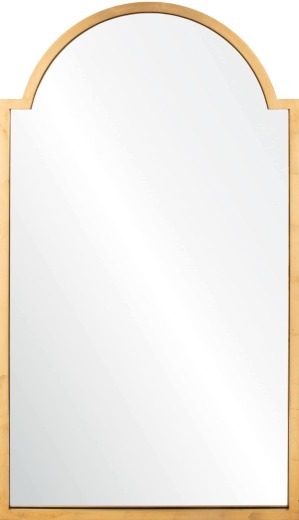 The mirror is non-beveled in the center. This beautiful iron mirror will make the perfect accent for any home.